Following on from the new StuG III Ausf.G (kit #6320) Dragon have now released this “new” kit of the Panzer III Ausf.J 2 in 1, I say new because this kit has no parts from the previous Panzer III kits released by Dragon and starts with a clean slate so to speak. 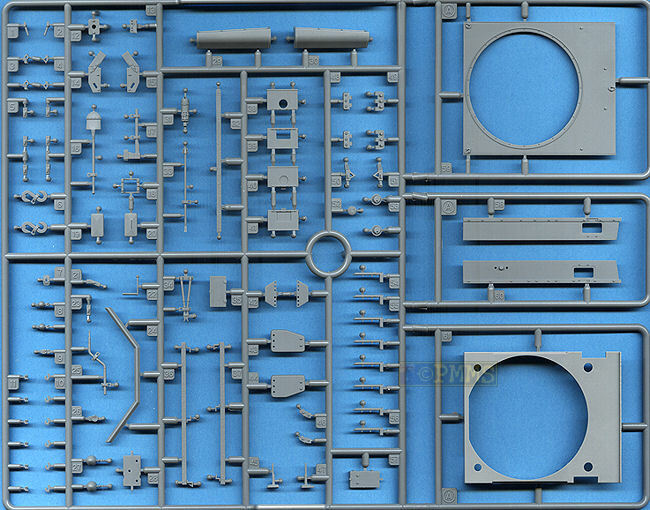 The kit is labelled 2 in 1 with the kit having the later style engine deck as well as choices for the L42 or L60 gun and additional spaced turret and hull armour which allows you to actually build 4 different versions from what’s is in the box as well as others with a bit of modification. It has been noted that the very first Ausf.L vehicles were visually identical to the late Ausf.J with just the serial number to differentiate the versions, but this is purely academic with the first visual identifier of the Ausf.L being the deletion of the turret side vision posts. So if you want to build a visually identifiable early Ausf.L with L60 gun you would need to eliminate the turret visors and fill in the openings in the turret shell. 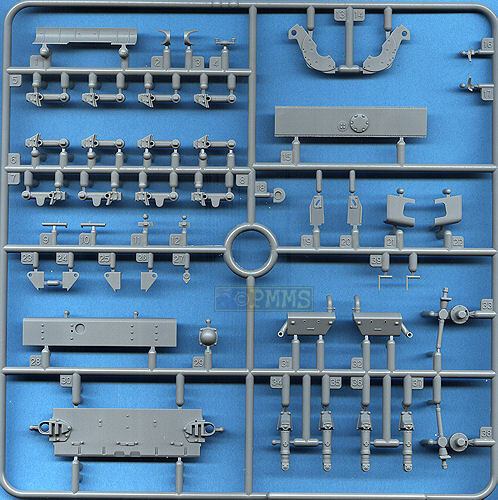 Also included in the kit are numerous parts from later versions which will obviously follow this release that include the later gun mantlet with just one vision port and the smoke grenade launchers found on the Ausf.M. 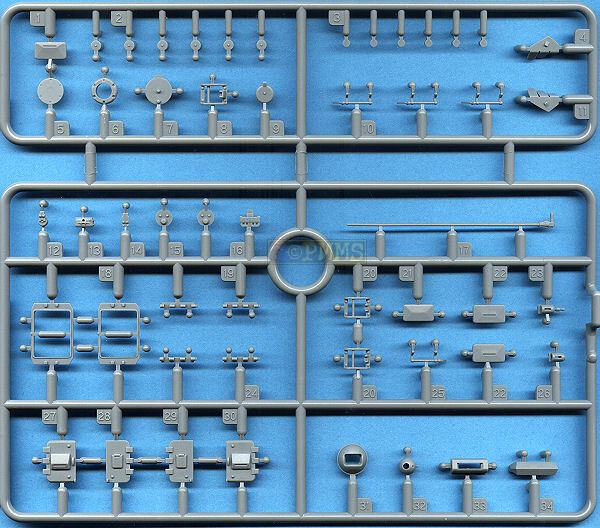 As some of the Sprues come from the StuG III kit as well as the later Pz.III parts not used there are quite a few left overs for the spares box. 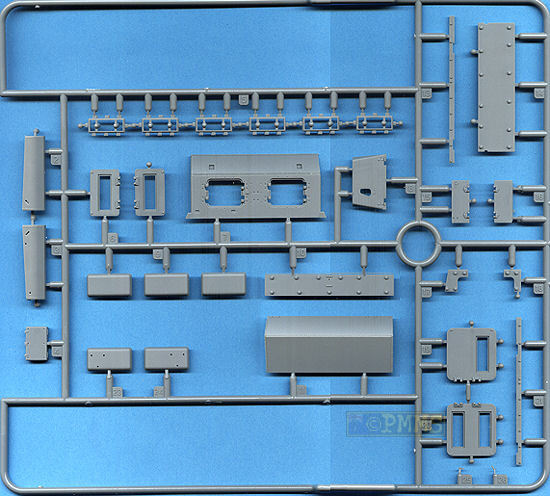 Dimensionally the kit measures up very well with available 1:35 plans in Actung Panzer and Ground Power but it should be noted that these plans actually conflict with each other in some areas (gun barrel length, gun housing width and some hull details) and this doesn’t help matters. In cases where these discrepancies exist I have used available photos to confirm the sizes and locations of the parts involved and the kit parts come up okay give or take fractions of millimetres. Quality of the mouldings is again excellent with a minimum of pin marks and virtually no flash to contend with other then the usual fine moulding seams to be removed. There are of course the many small plastic nodes on the parts that do require care when removing especially on the smaller parts but the cleaner parts resulting are a small price for the extra cleanup. 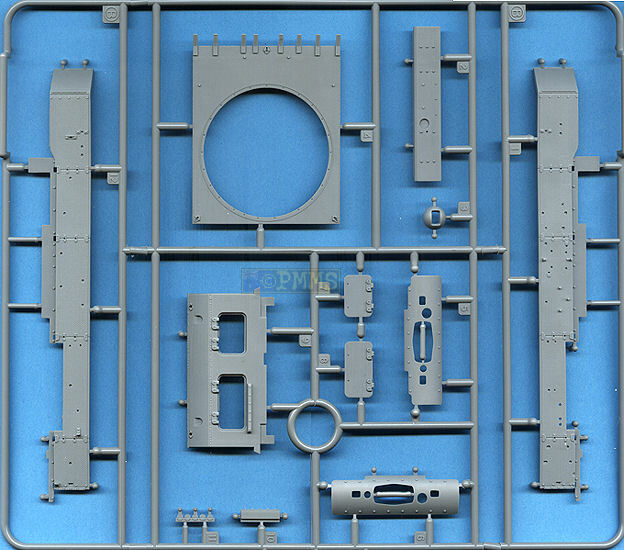 This consists of 488 parts in light grey plastic, 17 clear plastic parts and an etched fret with 28 parts as well as two bags of individual “magic tracks” and as mentioned a few of the sprues come from the previous StuG III G kit (Sprue A, B, D) for the suspension and running gear and the lower hull parts as well as sprue (F) from the Panzer IV F2/G (and earlier) for the turret cupola plus the hull machine gun (sprue J) from the previous Tiger I and Panther kits. 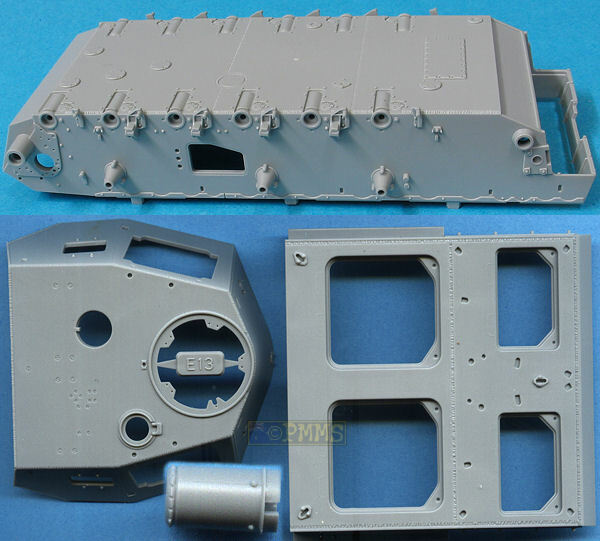 The remaining parts are new for this kit and include a number of parts not used which are applicable to the Ausf.L and Ausf.M (smoke grenades, mantlet with single vision port) and it’s not hard to work out we will be seeing these later versions coming in the future. 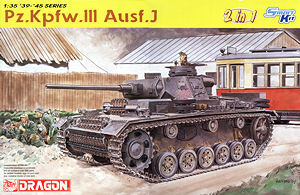 The lower hull tub is similar to that in the StuG III kit but with some alterations to the underside detail including additional weld seams and access plates plus of course the inclusion of the separate hull side escape hatches which have separate two part hinges allowing the hatches to be shown open if you wish. The inside latch is also included as are a couple of pin marks but most will fix the hatches closed as there is no interior to show off. Detail on the hull tub is nicely done with well defined axle mountings and additional final drive plates that incorporate the tow shackle mountings as well as the upper flange detail along the top of the hull sides. On the inside are separate full width torsion bars with the axle mountings correctly offset and nicely detailed axles and shock absorbers for the first and last stations as well as separate bump stops for a well represented lower hull arrangement. The drive sprockets are in two halves with nice bolt head detail on both sides of each sprocket and good rim contours to nicely represent the Pz.III drive sprockets as well as a separate final drive housing added to the hull sides. The twin road wheels are again have nice hub detail as well as the “continentau” embossing on the rubber sections and it’s a simple operation to convert the U to and L if you wish using the tip of a #11 blade. The size of the “continentau” is a little oversized if you want to get picky but would probably not be an issue on the finished kit. One thing to note with the road wheels, these have a mould seam around the middle of the rubber section and the real wheels also have a seam at the same location when new and you may want to leave the mould seam to represent the actual seam. But this was a little uneven on my wheels and I shaved the seam smooth for more worn wheels but this is up to the modeller to decide according to their preferences. The return rollers also have the “continentau” embossing but this is more over scale here and a little more noticeable than with the road wheels and personally I would remove this altogether as it’s all but invisible on the real return rollers from a normal viewing distance, but again this is up to the individual modeller. At the back are the 5 part idlers with the two wheel discs and two etched rings that add the inner rim to each idler disc to give a good appearance as well as having a separate hub cap for better definition. Strangely the locating lug on the inside of the idler has been altered from that on the StuG III idler which means the spokes on the two idler discs do not line up correctly on my idler while they do on the StuG III idler. This is very easy to fix by opening up the locating hole on the inside of the idler allowing you to line up the spokes by eye so is not a big issue and the idler mounting axles are in three parts but watch the parts as they are different on each side. The rear hull plate is quite detailed with separate exhaust mufflers, tow shackles and mountings for the hull over hang “box” as well as additional parts for the exhaust deflector. Inside the overhang box is a two part smoke grenade rack and etched screens to add on each underside of the box while the rear hull plate has the correct port cover for the Ausf.J. Before proceeding the full length fenders have to be added to the lower hull tub as the upper hull parts fit over the fenders. The fenders themselves are very well represented with the tread plate pattern correctly depicted as raised “dots” on the upper surface and indentations on the underside as they should be and are not indented as some have mentioned as this would leave a flat surface negating the non-slip tread plate effect. The only nit pick here is the “dot” pattern is a little too closely spaced but this is probably a limitation of the moulding process but the overall effect does look good on the assembled fenders. Added to the fenders are separate mounting brackets, tools, Notek and tail lights with the tools having their clips moulded on but it would be easy to trim these off if you wanted to use any of the etched tool clips available separately to improve the look. Included are individual 40cm “magic track” that requires virtually no cleanup and have nice details including the open guide horns. The track is “handed” meaning the left and right track links are mirrored to have the track pin bolt on the outside on both sides of the model. The left and right tracks are packed in separate plastic bags with one set being in a darker plastic than the other to avoid mixing these up but no other indication is given to identify left and right. The tracks are not workable but designed to be glued together which is easy enough and you will have to use the drive sprocket and idlers as jigs as you glue the respective links around these to form the curves. Also take note that the instructions indicate the incorrect side for the track placement as it indicates L (left) instead of R (right) and visa-versa and you should watch this to make sure you fit the tracks correctly. Traditionally left and right is determined on a vehicle when seated in the driver’s position looking forward not when facing the vehicle. The rear engine deck is a separate part with all the hatches and intake covers as separate parts and this represents the later Ausf.J configuration with one piece hatches and alignment of the intake covers. Detail on the deck has been enhanced from that in the StuG IIIG kit with the weld seams better defined and revised lifting hooks. Added to the side of the deck are the separate intake trunks with openings in the deck side to give a nice hollow look and there are also etched screens provided for the intake tops to finish these off nicely and no problems were encountered assembling these. All the hinges for the hatches and the tow cable attachments are separate parts for good definition and the coiled tow cable while in plastic is nicely rendered with just the fine moulding seam to be removed carefully to ensure you don’t compromise the cable detail. 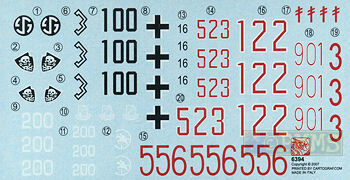 The front glacis plate is a new part for the Ausf.J but the original StuG III glacis is also still included so make sure you use the right part with this kit as shown in the instructions and added to this are the separate one piece access hatches, front brake outlets and headlights with separate clear lens. Note if adding the spaced armour there are a couple of locating holes that need to be opened up in the glacis before attaching the hull tub. For the main superstructure there is an inner “box” to which is added the side plates, driver’s plate and upper decking and you are provided with a choice of two top decks depending if you are fitting the spaced armour panels or building the standard tank. These decks have the turret ring detail included as well as a separate V bullet splash guard to use on your chosen version. The side panels have separate visors with inside detail that allows you to show these open or closed for a bit of variety as well as a clear vision block for the left visor (the right visor is solid without the vision slit). 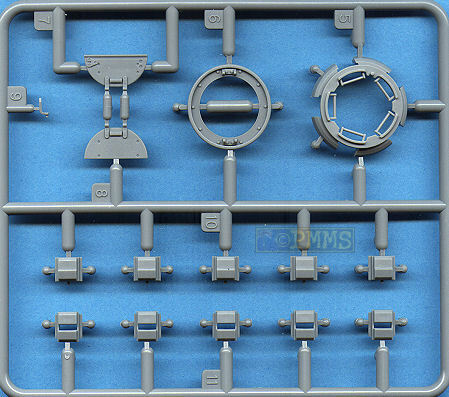 For the driver’s plate, there is the two part driver’s visor with inner clear “glass” and the right side machine gun ball housing and again there are two housings on the sprues so make sure you used the right one (part G31). 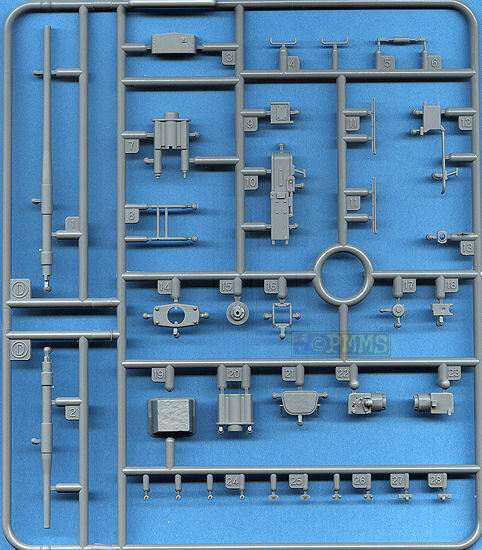 This has the full MG34 and inner mounting as supplied with previous kits and is a nicely detailed assembly. The fit of the front, side and top plates to the inner box is very good not requiring any trimming and the superstructure is then added to the lower hull tub, you have to fit the glacis first as the superstructure sits over the top of this. 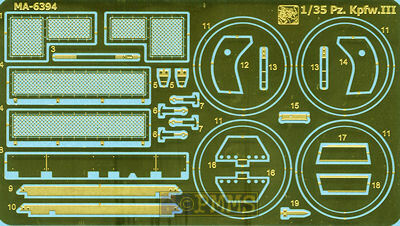 The rear engine deck also fits neatly after adding the superstructure. If building the spaced armour versions there is the separate 20mm spaced armour panel which fits to the mountings on the appropriate top panel and holes previously opened up in the glacis. The top and side panels are very thin on the real vehicle and you are provided with etched panels here for a good scale appearance. The small extended mountings for the spaced armour panel are rather simplified if you want to get picky but perfectly adequate and no doubt an etched update set will be released to replace these for those wanting this added detail. The turret has the main shell with separate front plate, gun mantlet as well as the side hatches and visors with the surface detail being well done such as the top flush screws. The overall dimensions again match the data with such items as the gun barrel lengths and gun housing being well within acceptable tolerances. This is where you have the biggest choice of finish with the L42 and L60 gun as well as the standard mantlet or with spaced armour so you should choose early the version you are building as you can’t change your mind along the way. Both gun barrels are in one piece with hollowed out muzzle and basic rifling included with just a small mould seam to sand smooth with the barrel trapped between the two gun breech halves (which is why you need to decide early the version you want). The kit has two mantlets, the initial with two vision ports and the later Ausf.L type with just the one visor with the two visor mantlet used for this kit (part E9) with the one piece gun housing added to the front. This has nice weld bead and other details and again you have a choice of housing depending on the version you are building, so watch this. Added to the front is the housing front plate and gun collar in also in one piece with just the mould seam to remove. Your choice of gun fits through the gun housing from behind and attached to the gun mounting which in turn has the full gun breech and protective shields added on the inside. There is also a choice of co-axial MG collars, one with the muzzle of the MG34 included and the other hollow is you want to use an aftermarket metal MG34 barrel which is a nice touch. 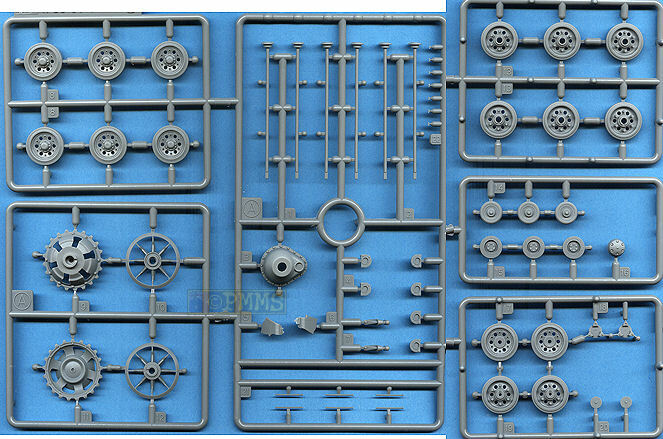 But one thing not included is the actual MG34 and mounted next to the 5cm gun and adding this would give a more complete assembly. If using the spaced armour the upper and lower support panels with correctly shaped cut-outs is added to the gun housing and etched parts are provided for the end plates to again simulate the thin plates of the real thing. The turret side visors have internal mountings and clear visor “glass” and you can show the visors open if you wish as there is also the rear Commander’s seat (stand) and the inside roof ventilator housing. The side crew hatches have the frame added from inside the turret and the separate doors have nice detail on both side if you wish to show these open as well as a separate rain guard for above the doors. 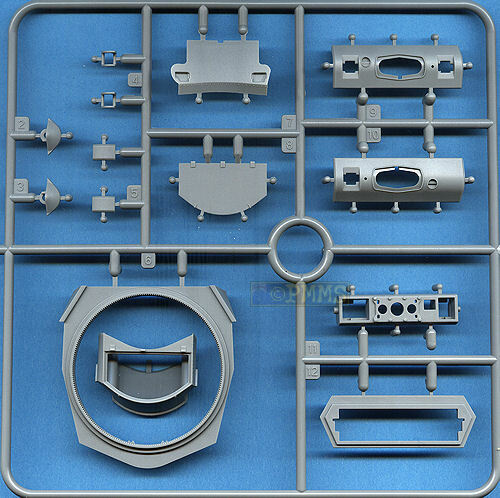 Included in the kit is three different spaced armour mantlets with different bottom contours as well as one being for the single visor mantlet with the one applicable for this kit being part B5 as indicated in the instructions with the others to be used on the later versions to come. The top Commander’s cupola is from the later Panzer IV kits and has the separate armoured visor covers with clear “glass” inserts as well as the two hatches and this builds into a nice replica of the actual cupola. Other details added to the turret include the top ventilator and port covers, the crew entry grab handles and small two part lifting hooks for the upper corners of the turret as well as separate pistol port for the rear wall. Following on from the Panzer IV F2(G) Dragon have again produced a fundamentally accurate and well detailed kit of the Panzer III Ausf.J which also provides a good choice of final configuration giving a good excuse to buy more than 1 kit. Any issues are in the minor category but of course there is scope for additional detail as with any kit but you will get an excellent representation of the late Ausf.J if built from the box. 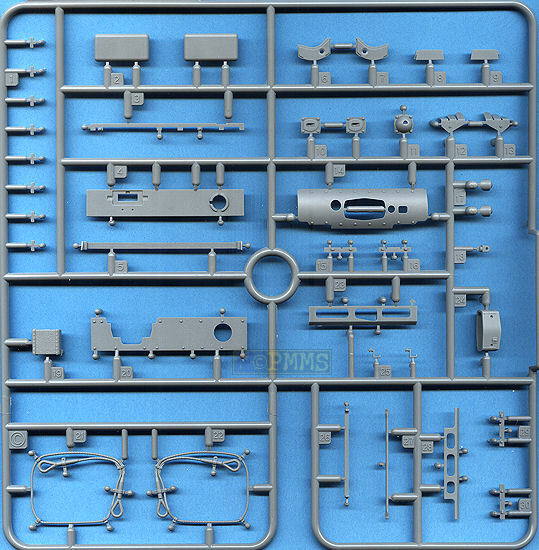 Clearly we will be getting more in the Panzer III series with unused parts for the Ausf.L and M included in this kit and given the good basis can only be a good thing for German armour modellers. Excellent detail coverage of the Panzer III with the usual detail photos and drawings of all versions of the Panzer III. A good overall pictorial coverage of the Panzer III. A typical NV with good coverage of the Panzer III and the cebtre colur plates. The usual in action fare with photos and drawings of the Pz.III versions. Thanks to my credit card and the excellent service from for the review kit.